Wine of France. 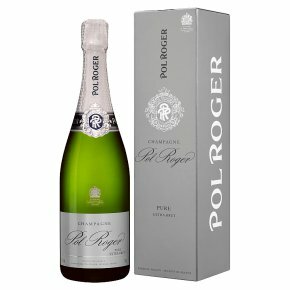 Reserved for Great Britain.Pure Brut, as the name suggests, is an authentic expression of the pure, natural flavours of the three champagne grape varieties - pinot noir, chardonnay, pinot meunier - blended in equal proportion and without the addition of any sweetening dosage. Pure Brut is subtle, light and elegant, with a refreshing trace of minerality.